Last call to Pledge $200 and be a drop off location for the "12 Days of Donating" Food Elves Campaign. 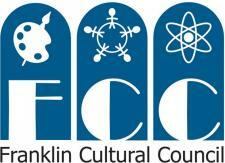 Please join the Downtown Partnership in supporting the Franklin Food Pantry! Last year the Food Elves in partnership with the Franklin Downtown Partnership collected food and cash donations that translated to over 17,000 meals for families in need. The "12 Days of Donating" Campaign will run from December 1st-12th with the kick off at the Holiday Stroll. food donations. They invite YOU to be a part of this community-wide campaign! Please e-mail the office (downtown.franklin@yahoo.com) by Monday so the Food Elves can add you to the press release. It is easy...just say "YES" and the Food Elves will arrive with a Donation Bin and will pick up the food at the end of the campaign. If you know someone who is interested in becoming a Food Elf...please call or e-mail the FDP office today so Head Elves Melissa and Cameron can add them to their list of volunteers and coordinate their schedules. Make a Difference this year....and join the Elves for a Great Cause.....! !